West Indies 8-381 declared (Shivnarine Chanderpaul 108, Chris Gayle 101, Denesh Ramdin 86, Prosper Utseya 3-60) beat Zimbabwe 175 and 141 (Vusi Sibanda 35, Graeme Cremer 20, Shane Shillingford 5-34) by an innings and 65 runs. Zimbabwe was unable to impress with their batting in both innings since they managed just 175 in their first followed by 141 in the second. West Indies hammered 381 for the loss of 8 wickets in the first innings which was declared after 117 overs complimented by the tons from Chris Gayle and Shivnarine Chanderpaul. 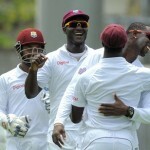 Shane Shillingford (West Indies) was declared ‘Player of the match’ for his excellent spell of 10- 93in the game. He was also announced ‘Player of the series’ since he was the highest wicket taker in the two games by grabbing 19 wickets at an awesome average of 10.52, the best of 6-49 in an innings and 10-93 in a match. The second and final Test of the series concluded in just three days on Friday, March 22, 2013, at Windsor Park, Roseau, Dominica. 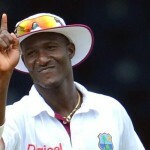 Earlier, the captain of the West Indies, Darren Sammy, declared the first innings at their overnight score of 381 with two wickets still remaining after utilising 117 overs. Zimbabwe was asked to bat for the second time in the match with a first innings deficit of 206 runs and the second innings was opened by Vusi Sibanda and Hamilton Masakadza. The duo made a slow start and scored just nine runs in the first four overs but hit 3 fours in the following two overs. Masakadza survived a decision of the field umpire on the first ball of the 10th over after he took a review but was caught behind by the wicket keeper Denesh Ramdin off Tino Best for 17 as a review was taken by the hosts. The first wicket fell at 37 as the Zimbabwe skipper, Brendan Taylor, joined in with Sibanda who added two back to back fours in the 12th over. The latter dispatched the first six of the innings in the 18th over as Taylor became the first victim of Shillingford for just seven runs at the total of 64 runs. Vusi Sibanda was declared leg before wicket off Darren Sammy for 35 off 57 balls with 1 six and 5 fours without any addition to the total. Shillingford got the wickets of the next two middle order batsmen and the hosts were reeling at 5-92 in 30 overs. The middle and lower order batting of Zimbabwe surrendered against the calculated bowling of the Windies and especially Shane Shillinford was unplayable. Malcolm Waller and Graeme Cremer were the only two batsmen who provided some resistance by contributing 20 runs each as the entire Zimbabwe team was bowled out for 141 mere runs in 42.2 overs. 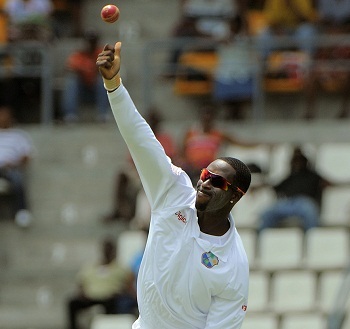 Shane Shillinford once again sparkled with the ball by grasping five wickets, Marlon Samuels held three whereas Tino Best and Darren Sammy claimed one wicket each. West Indies won the second Test comprehensively by a vast margin of and innings and 65 runs and clinched the two match series 2-0.